"Dan Bon" simply means "Dan Number;" however, that simple description does not reveal or convey the rich depth of tradition, history and meaning associated with the Moo Duk Kwan's Dan Bon H.C. Hwang system. Kwan Jang Nim The Moo Duk Kwan's Dan Bon system is a very important and traditional part of the Moo Duk Kwan style. It is a source of great personal pride for Soo Bahk Do practitioners embracing the Moo Duk Kwan style and its philosophy. Today, I'd like to share a few of the very unique aspects of the Soo Bahk Do Moo Duk Kwan Dan Bon system with you. When Grandmaster Hwang Kee founded the Moo Duk Kwan style in 1945, he began with only a handful of students and only four students were successful at achieving the Cho Dan Rank after long, hard Moo Duk Kwan training. The late Master Un Chang Kim was about 30 years old when he earned Dan Bon #1 from Grandmaster Hwang Kee in 1948. It was on that day the Moo Duk Kwan's Dan Bon tradition was born. The last Dan Bon issued by Grandmaster Hwang Kee in July of 2002 was 41208. As of 2004, more than 42, 400 Dans worldwide have earned their Dan Bon in the Moo Duk Kwan style and their permanent place in its living history. What makes the Moo Duk Kwan Dan Bon system so unique? It is the fact that the Dan Bon clearly defines each Dan holder's seniority and their place within the Moo Duk Kwan rank system. The Dan Bon system was initiated and created based on a high value of loyalty, history, tradition, discipline, and philosophy. Once a Cho Dan receives their Dan Number, they keep it permanently. Their Dan Bon is not just an administration number. It signifies an important aspect of our Moo Do identity within the Moo Duk Kwan and designates our definite place in the Moo Duk Kwan rank system. At any National or International Soo Bahk Do Moo Duk Kwan event, without discussion, without dispute or conflict, and without confusion, the Dan Bon system allows practitioners who may have never even met to harmoniously assume their rightful place in line among peers from around the world. Where else can you find this kind of Moo Do system like your style of Moo Duk Kwan has? 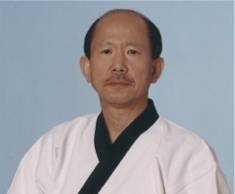 Grandmaster Hwang Kee, as the founder of the system, initiated the Dan Bon system and was the only person who oversaw and authorized each Dan Bon based on the Moo Do seniority of each practitioner. He personally assigned Dan Bons until his retirement, when he passed on the responsibility of protecting and preserving the integrity of the Moo Duk Kwan Dan Bon system to his designated successor, H. C. Hwang Kwan Jang Nim. To this day, the Moo Duk Kwan Dan Bon system remains continuous and unbroken since its inception. As a result of high level of discipline and training, the Grandmaster has taught the importance of seniority to all his students and the Grandmaster has linked their Moo Do seniority through the Dan Bon system. The Moo Duk Kwan was the most visible and well known martial art in Korea until the early 1960s. The Grandmaster's teachings and his students demonstrations of respect for the Dan Bon system made profound impacts on the martial arts society during that period of time. The following are a few incidents that exemplify the importance of Dan Bon within our system and outside our system. These incidents will aid in the full comprehension of the Dan Bon seniority system. In the early 1960's after the military coup (birth of Tae Kwon Do in Korea, the Moo Duk Kwan was divided. Many of Moo Duk Kwan joined the Tae Kwon Do Association for political reasons. At that time, even though they were outside of Soo Bahk Do Moo Duk Kwan, some practitioners tried to steal and destroy the Kwan Jok Bu (the Book of the List of Dan Bon) in order to erase the record of seniority from the Moo Duk Kwan. In this way, they believed that they could pass off as senior members with political influence. This attempt failed. In United States history when senior instructors of Soo Bahk Do Moo Duk Kwan broke away to form their own organization, some attempted to copy the Dan Bon system by issuing numbers to students that continued from the last Dan Bon that had been issued by Grandmaster Hwang Kee rather than starting from #1 for their own organization. Among many Moo Duk Kwan alumni throughout the world, regardless of their present affiliation, they still publicize their Moo Duk Kwan Dan Bon received from the Grandmaster Hwang Kee as they attempt to enhance their credibility and establish the origin of their Moo Do identity. These realities are examples of the profound impact that the Moo Duk Kwan Dan Bon has had on the Martial arts community worldwide. We have the opportunity to protect and preserve this unique and proud tradition by continuing to practice the same values which originated the Dan Bon system. Our tradition has not been lost. All Dan Bon holders stem from the same roots. We can each trace our origin as Dan's directly back to Grandmaster Hwang Kee and our Dan Bon confirms that fact. To be loyal, to maintain one's connection to the source of one's Moo Do identity, that is the essence of the Moo Duk Kwan. Those who forfeit their connection lose the compass of their martial art journey and their Shim Gong is lost. Disconnected, they travel down a very different path and it is one which will never lead them to understand the true nature of their relationship in "The Art and I."